All good mate. Will be opportunities in the future. Maybe a tag along on one of your adventures. I AM NOT STUBBORN.........I prefer the term, Singlemindedly independent ! So.... you think you've packed for a big trip before? 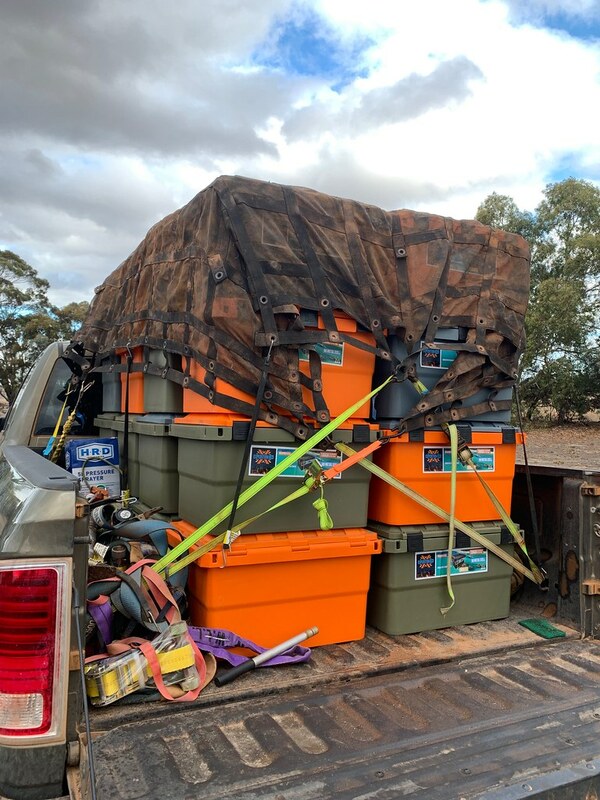 This is a setup from one of our Expedition Box users in the Pilbara as he preps for 8 months back in the bush working. All the tucker is in the boxes. Winner of 'Best 4 x 4 ' at the 2017 Albany Agricultural Society Inc - Town n Country Ute Muster. Ex Telstra - 2005, 4.2 TDi ute -with pod and more fruit than a grocery shop. Yeah, we are stoked as they are starting to get around a bit. 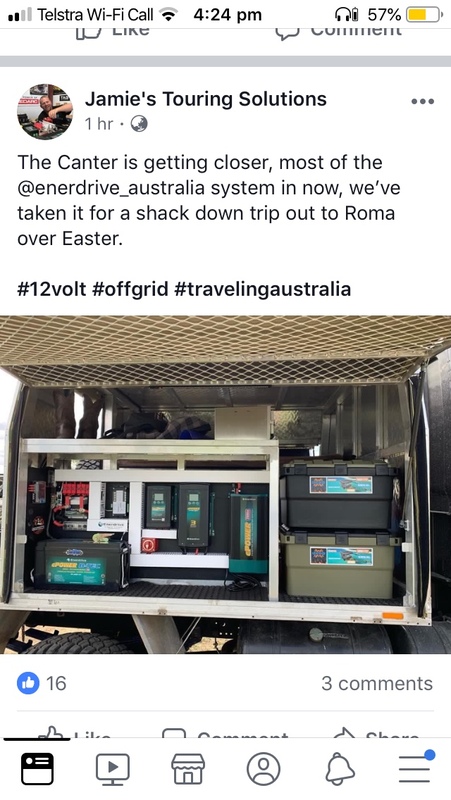 Simon Christie on 4wdTV is using them, Whatsupdownunder just set up the back of a Patrol with some, Jamie Hazelden is using them on his Aussie Bushman vehicles for his TV series and with a bit of luck, a couple more to come soon. But, they started here and the forum got the first ones! So time I think I help you. Just bought a pathy and won't be doing draws this time so think I'll need 2 boxes. One for recover gear and the other camping gear. What's the stacked height of 2 please mate? 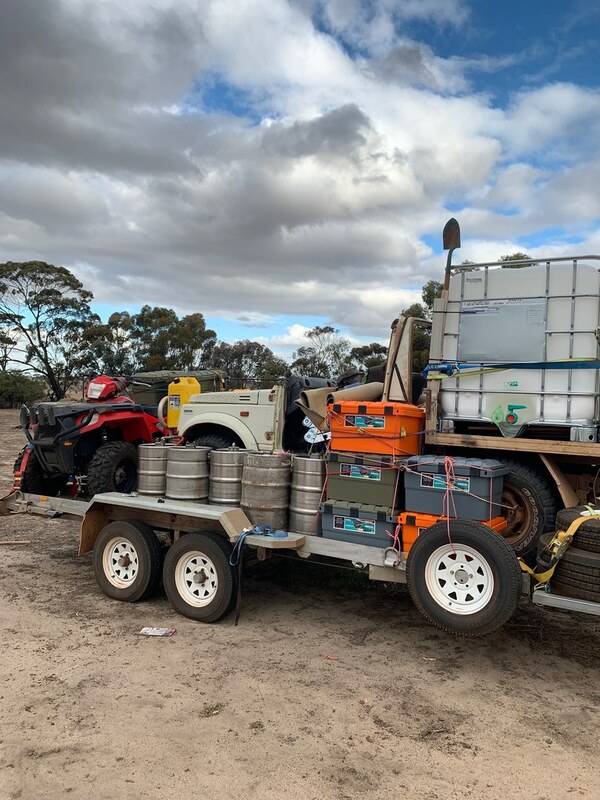 And how much to get 2 of them to kadina, 5554? Before we rush in though. Any plans on a half height box?? Hi Kallen, I'll have to get back to you with stacked height, but they are 325mm high each, so double that and take a few mm off. Lots of ideas on other sizes, just not the funds to invest yet. We are currently working on some custom tie-down straps at the moment and need to slowly work my way through that idea yet. Freight to SA is still a flat $20 mate. Doesn't matter if it is one or two boxes. I'm away at work but let me know the colours you'd like and I'll sort a forum price for you. Just threw a tape over two stacked. 782mm spot on.